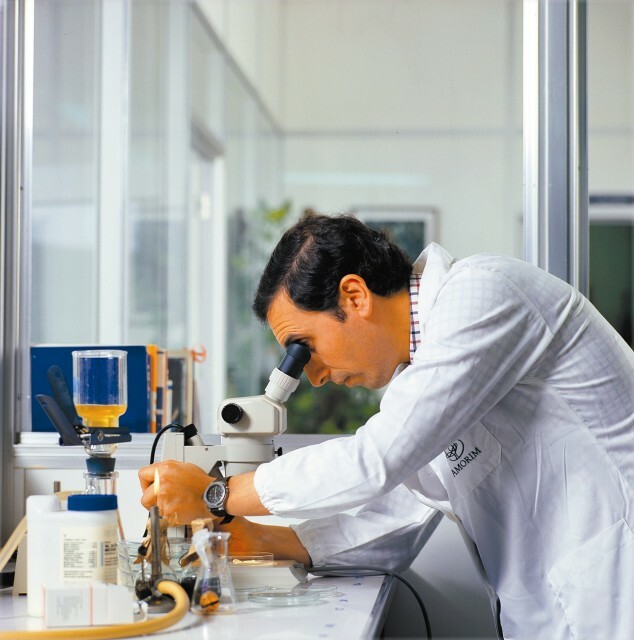 Phenolic compounds that are naturally present in cork stoppers can positively influence the ageing of wine, according to Dr. Miguel Cabral, Amorim’s director of R&D. In a discussion yesterday with the drinks business about innovation in the cork industry, Cabral said that his research was currently focused on the migration of phenolics and volatiles from the structure of natural corks into a wine as it ages in bottle, and suggested that such compounds benefit the maturation of wine. “For the future we are looking and how and why cork positively influences the evolution of wine,” he said. Noting that many producers opt for high quality natural corks when it comes to most of their long-lived wines, he said that the market believes that cork has a positive contribution to the evolution of wine – and his job is to consider the reasons for that contribution. For example, pointing out that Dom Pérignon chooses to use cork, rather than crown cap for its Champagnes which are destined for extended cellaring in the brand’s Oenoteque, he said that he believed that the phenolics and volatiles in natural cork “have a major role”, adding, “we are deeply studying the effect of phenolics and volatiles in collaboration with universities”. He also said that the cork will release phenolic compounds in a “linear way”, while recording that the reaction of the wine with the wood-sourced phenolics forms “new compounds”. Concluding, he said that Amorim was attempting to put the science behind the belief that wine matures “differently and better under cork”. Cabral has already published two academic papers on the topic of cork phenolics and their migration into wine, and is waiting on peer review before the results of his research can go into a scientific journal, which he expects to receive within three months. Michael, what about those cases when a systemic TCA has infested the wine which has a synthetic or metal closure? Shall we call it a synthetic cork phenolic? Let’s just put a nice wine in a coke can or beer can and put a pop top on it and drinkers can make chains out of the tabs and wine will be more romantic and leading edge and by pass the plastic plugs, plastic disks, and give a nice twist top. I love to feel a nice piece of sharp aluminum and see the crystals in the cap. Better yet, no TCA’s in a mylar bag in a very nice cardboard box. Put it in a nice ice bath for 30 minutes before serving and you got a nice smell of wet cardboard. I know put a nice wine in a coke can and let the drinkers smash the can against their foreheads when emptyl. Can toasting has that nice cling sound. If you don’t like cork, don’t buy it for crying out loud. All bottle closures have advantages and disadvantages. As far as I know cork is the only widely available closure that is: (1) an entirely renewable resource — and there is currently no shortage; (2) From trees that are part of an extremely important and fragile eco-system (I have been told, second only to the Amazon Jungle in importance); and (3) is entirely biodegradable in a relatively short period of time. We care about these matters. 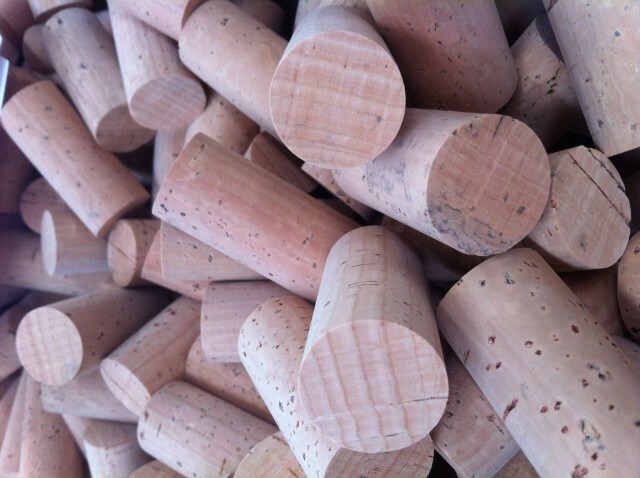 We care about our wine, so we try to avoid issues such as cork taint, and seek good aging potential. When I was a relatively new wine consumer cork-taint was at about 10%, synthetics didn’t exist, and screwcaps were only on gallon jugs. Newer cork products have cork taint at 3% or less, and the cork companies are working dilligenly to reduce that even further. A friend and mentor from Bordeaux tested a cok product for several years before telling us that he was converting to it… just before we bottled our first wines in 2003. We have found it very satisfactory, and the cork taint occurance is approimately 1/10th of 1% or less. Ok, for us any one of the three numbered points would encourage us to use cork over other potentitial closure options. Ultimately it is the consumer that will decide on this issue. It is easy to identify a bottle closed with a screw top. With a foil, it is virtually impossible to tell whether one is buying a wine with cork or synthetic closure. To enable the consumer to evaluate this at point of sale, we proudly put a “Cork Inside” logo on all our labels. I’d like to see wineries that prefer synthetics make a similar statement on their labels.